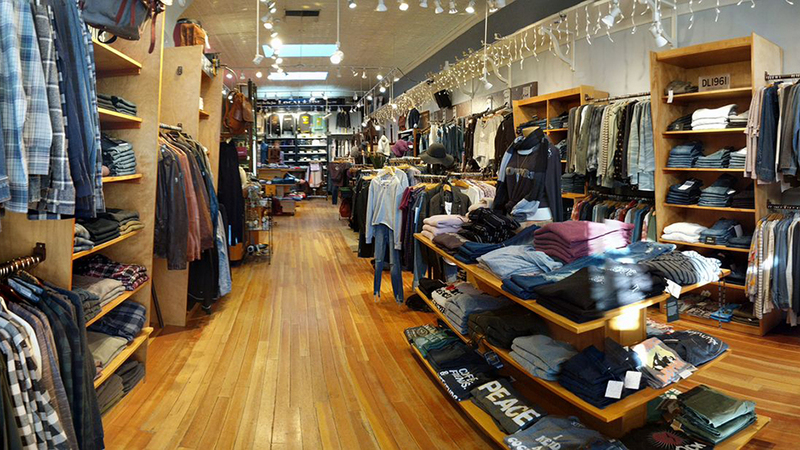 Local Joe opened its doors in October of 1993 with one mission: to provide Bend Oregon with a great upscale urban jean store, one that would hold its own in any major city. 1993 is the year A.J. Cohen, proprietor of Local Joe, moved from Los Angeles after 12 years in LA’s fashion business. He wanted to bring “big city” denim fashion to a small beautiful mountain town along with knowledgeable and friendly customer and a selection of products they believe in 100%. Local Joe has a huge selection of men’s and women’s premium blue jeans and fashion from the best manufacturers in the world with an expert staff to find you the perfect fit. For women, they carry skinny, straight, cropped, bootcut, boyfriend, flare, and all the rest of current denim styles, along with a selection of fashion knit and woven tops. Their fabrics are soft and supple, and their look is bold and contemporary. They also carry men’s and women’s graphic tees and hoodies, and according to season, great sweaters, leathers and fashion outerwear. Their extensive line of shirting for men includes a wide array of button ups and other styles and fits. They are also the local representative of Will Leather Goods, an Oregon company carrying leather and fabric collections.